Ukraine increases its military presence in the Azov-Black Sea basin because the Russian Federation escalates its aggressive policy in this region. 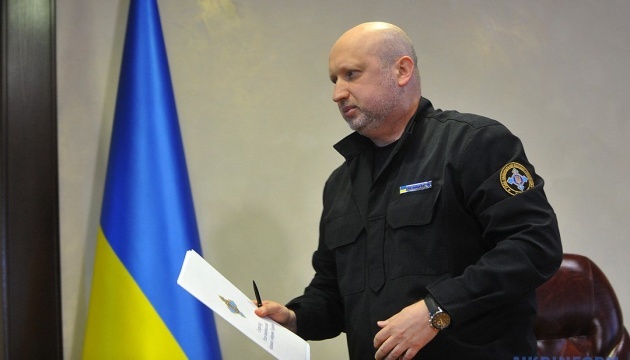 Secretary of the National Security and Defense Council of Ukraine (NSDC) Oleksandr Turchynov stated this at a meeting with Chairman of the National Defense Committee of the Parliament of Estonia Hannes Hanso, the NSDC press service reports. He noted that despite Russia's aggression, Ukraine continues to reform the security and defense sector in line with the NATO standards. In addition, during the meeting, considerable attention was paid to the issue of extending sanctions against the Russian Federation by the EU countries and the problem of constructing the Nord Stream 2 gas pipeline, which poses a threat to both the Ukrainian and European energy systems.